BCDB Rating: 3.8/5 Stars from 3 users. This page has been viewed 20 times this month, and 1939 times total. Cartoon Characters: Lian-Chu, Gwizdo, Le Seigneur Arnold, Gildas, Zoé, Hector, Mamular. Voice Actors: Vincent Lindon, Patrick Timsit, Philippe Nahon, Amanda Lear, Marie Drion. Directed By Arthur Qwak, Guillaume Ivernel. Produced By Philippe Delarue, Tilo Seiffert, Marcus Sch÷fer, Antonio De Campos, Klaus Badelt, Michael Coldewey, Robyn Klein. Written By Frédéric Engel-Lenoir, Arthur Qwak. Music: Klaus Badelt, Ian Honeyman, Andrew Raiher. Originally Released on March 20, 2008. 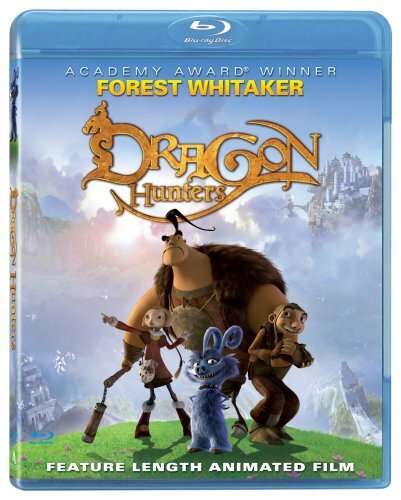 "Dragon Hunters (English)" and "Die Drachenj?ger (German)." Theatrical feature film based on the 2006 TV series. Budget estimated at 11 million Euros. Do you have anything to add to this page? Have we made any mistakes... or do you have any additional information about Chasseurs De Dragons? If so, we would love to hear from you. Please send us a quick note with your additions or corrections to this page, and we will make the corrections as soon as possible! 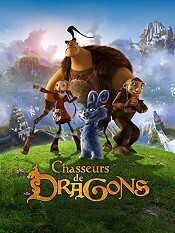 Do you love Chasseurs De Dragons, or do you think it is the worst cartoon ever? Let us know what you think! Surely you have an opinion... so share what you think. Take a minute and post your own comments about this cartoon here. Chasseurs De Dragons by Big Cartoon DataBase is licensed under a Creative Commons Attribution-NonCommercial-ShareAlike 4.0 International License.